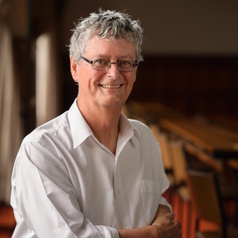 Richard White retired from the University of Sydney in 2013, having taught Australian history and the history of travel and tourism there since 1989. His publications include Inventing Australia, The Oxford Book of Australian Travel Writing, On Holidays: A History of Getting Away in Australia, Symbols of Australia and Playing in the Bush: recreation and national parks in New South Wales. He is currently completing a book based on an ARC-funded project, ‘Touring the Past: History and Tourism in Australia’, which has also led to an exhibition and a number of academic articles. Other current research projects include the history of Australian tourism to Britain in the twentieth century and a history of the cooee. He was co-editor of the journal History Australia from 2008 to 2013 and is a member of the International Commission for the History of Travel and Tourism.